Children from primary schools in Farnham will be coming together to take on a fun inter-school duathlon challenge. 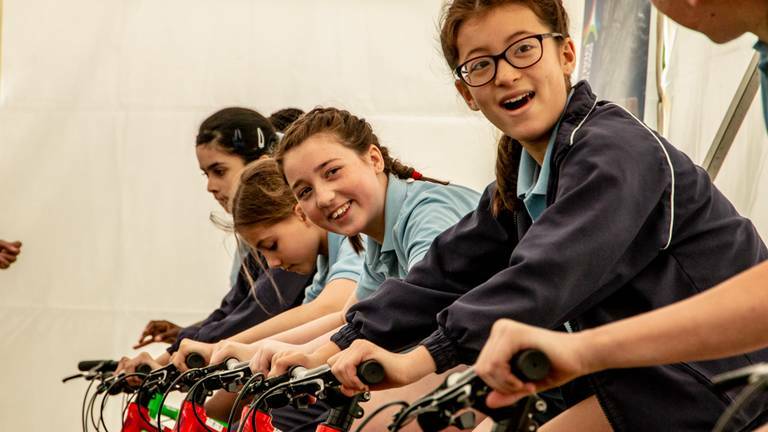 Our duathlon challenge is a fun, fully inclusive and non-competitive run-bike event challenging children to see how much they can each contribute to their school's total distance travelled in one day. After their taste of duathlon, children will be given information to take home about local opportunities for them to continue being active. The Triathlon Trust provides all the equipment required to participate including bikes mounted on turbo trainers (to make them static) fitted with trip computers to log the distance travelled. The activity is suitable for children of all levels of ability.